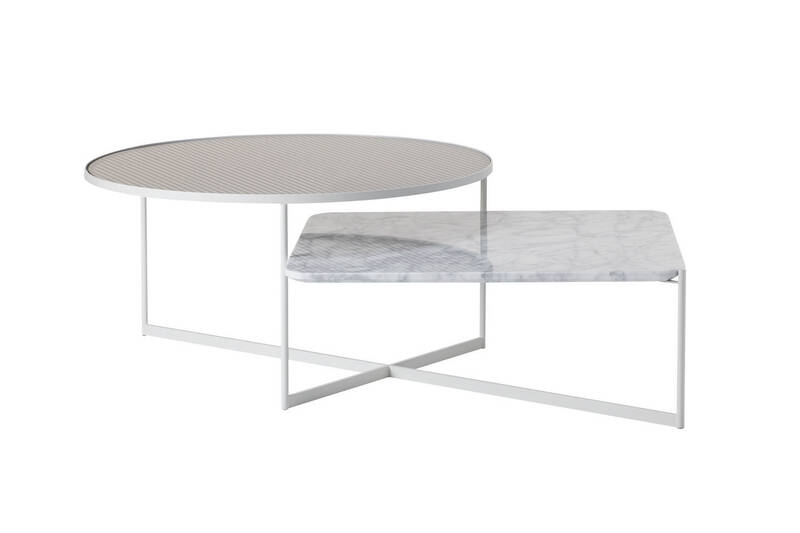 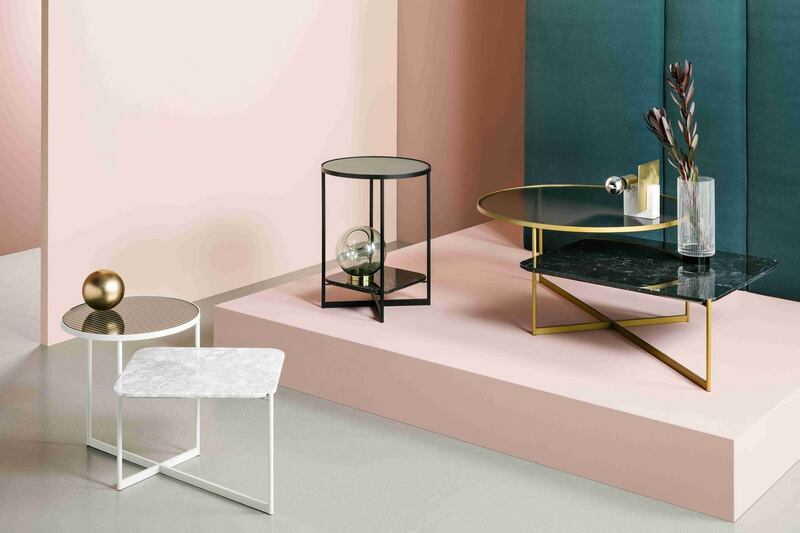 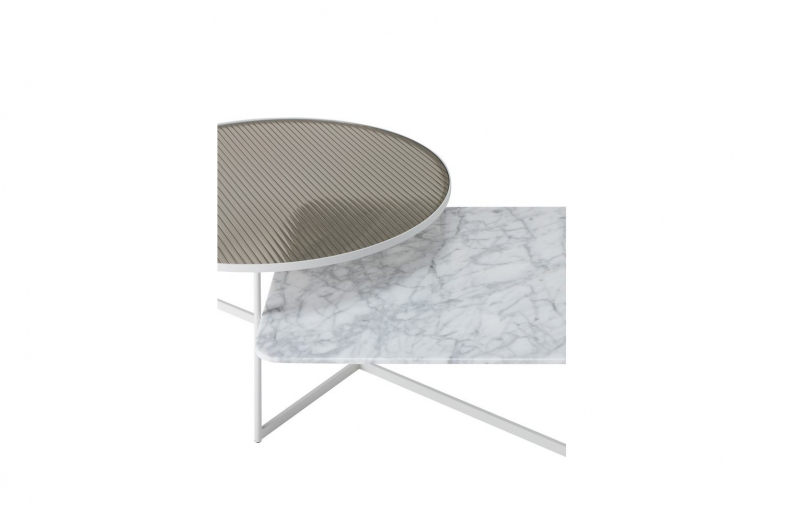 A series of modern, complementary tables that combine marble and glass, supported by a fine gauge steel frame that celebrates the beauty of industry. 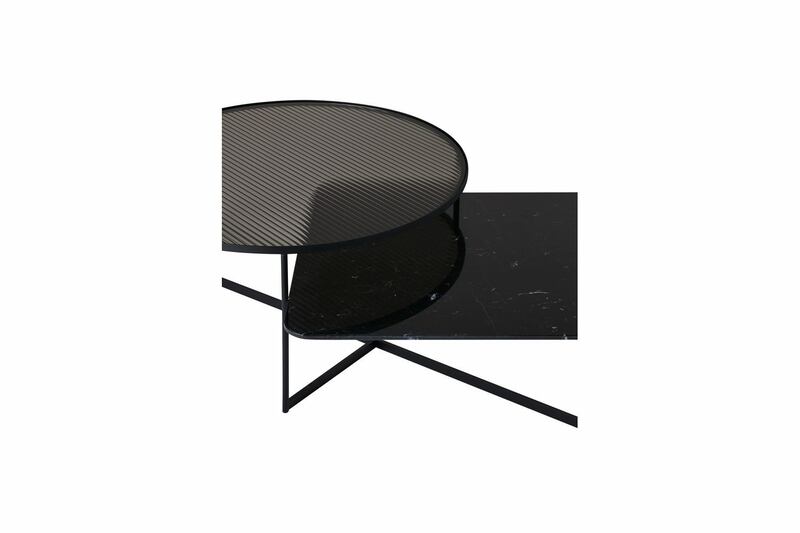 Utilitarian in approach, Mohana occasional tables are both functional and thoughtfully detailed. 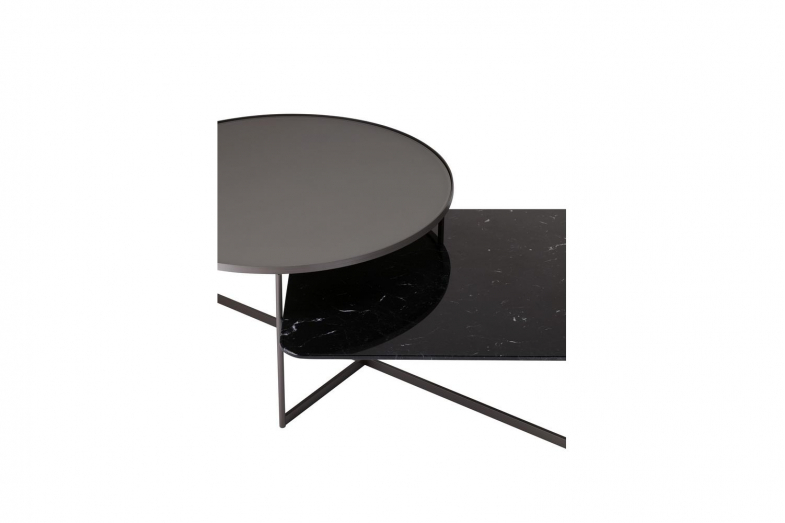 Each table has two levels with contrasting surface materials. 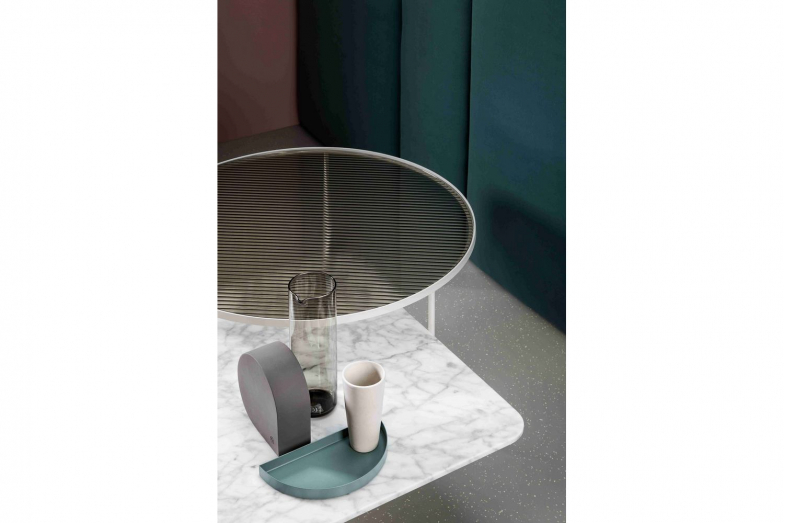 Use them as side, coffee or bedside tables, on their own or grouped together. 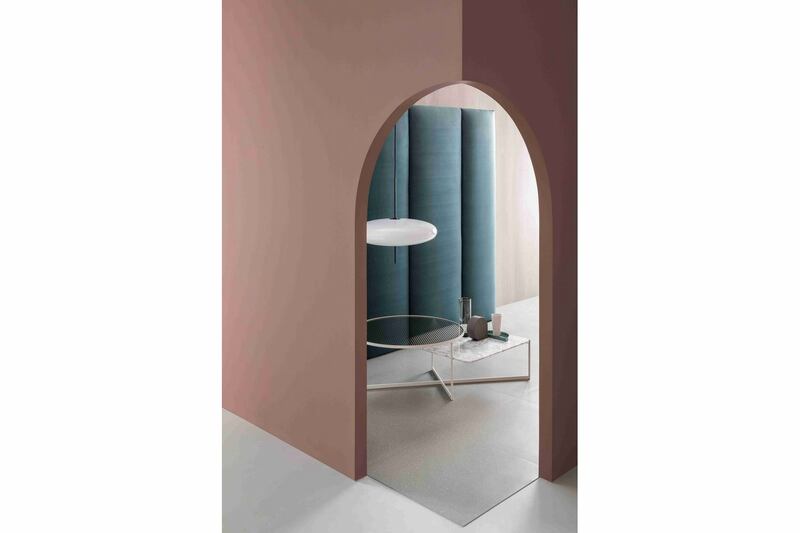 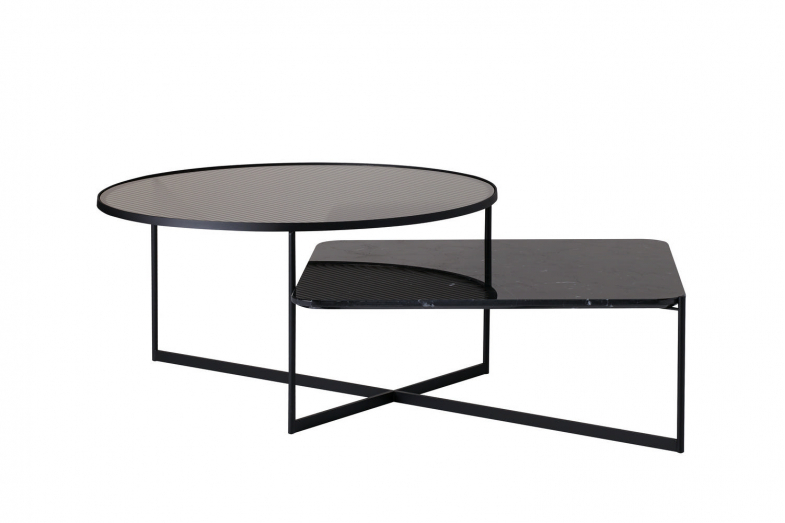 Family of side and coffee tables constructed from steel frame utilising multiple sections; angle, rod and flat bar with a lower surface always in marble and an upper surface available in smoke fluted glass or acid etched glass. 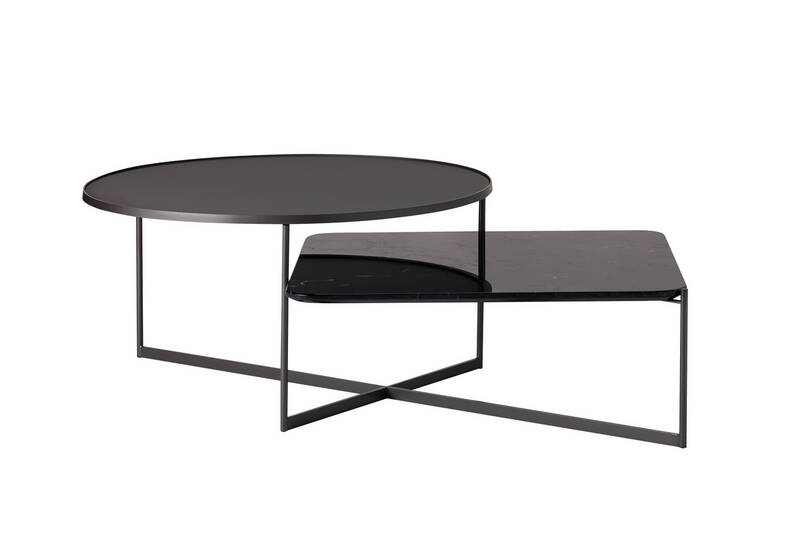 Frame available in powder coated satin black or white, also available with a metallic lacquered brass or pewter finish.